If your headphones don't work properly, and it's our fault, we will repair or replace your headphones for free. If you run into any problems we are here to help you. If for what ever reason you are not happy with your purchase reach out to our team. So far I love the quality of the sound, the style and feel of our new headphones. Our son is now wanting a pair as he is always borrowing his mothers. Wife and I have been using the V3 for a few weeks now and the fact that we can tune out the world and focus on our workouts to our own tracks really keeps us going. Better brand that we have purchased in a long while. 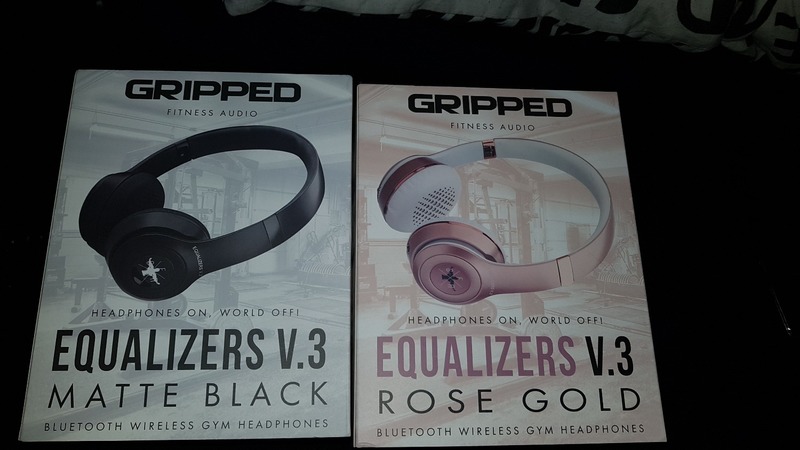 Honestly I was skeptical with the headphones at first but once me and my wife received these bad boys...we were really impressed! I used to own a set of beats and the sound quality doesn’t compare to these V.3s. Will definitely buy another in the future in a different color! Look and feel is great too! Price is perfect aswell! Definitely a must buy if you’re a serious lifter, it won’t get in the way of anything! What you waiting for? Buy em! !